Recycling: The process to change waste materials into new products to prevent waste of potentially useful materials. 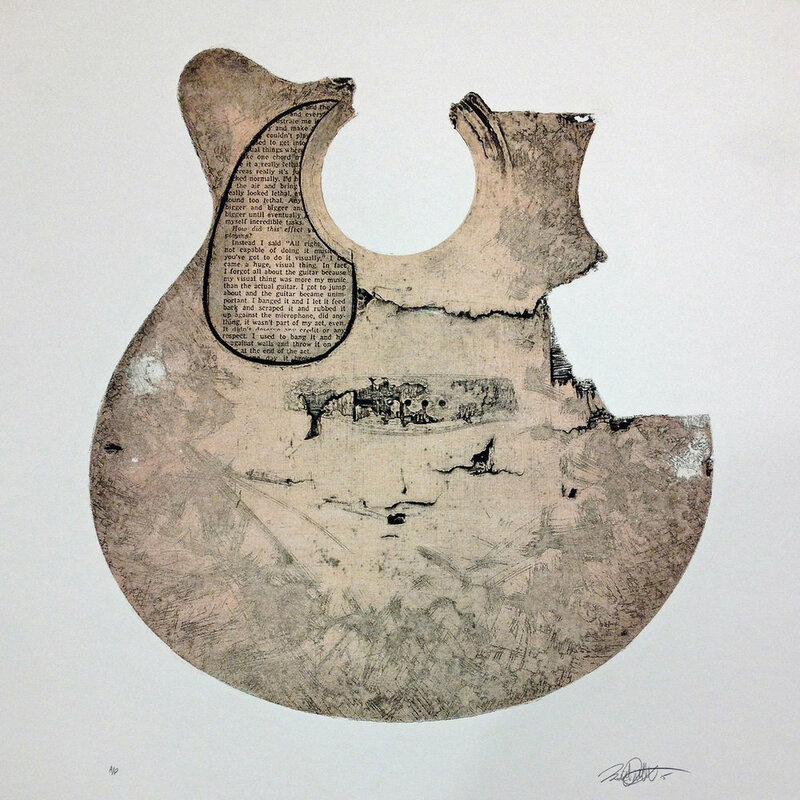 Smashed and left to decay in a neighboring creek-bed within the Appalachian Mountains, the guitar body represented in these prints was rescued and repurposed in order to create hand-made collagraph prints based on the concept of re-using found materials. One man's trash is another man's printing matrix. 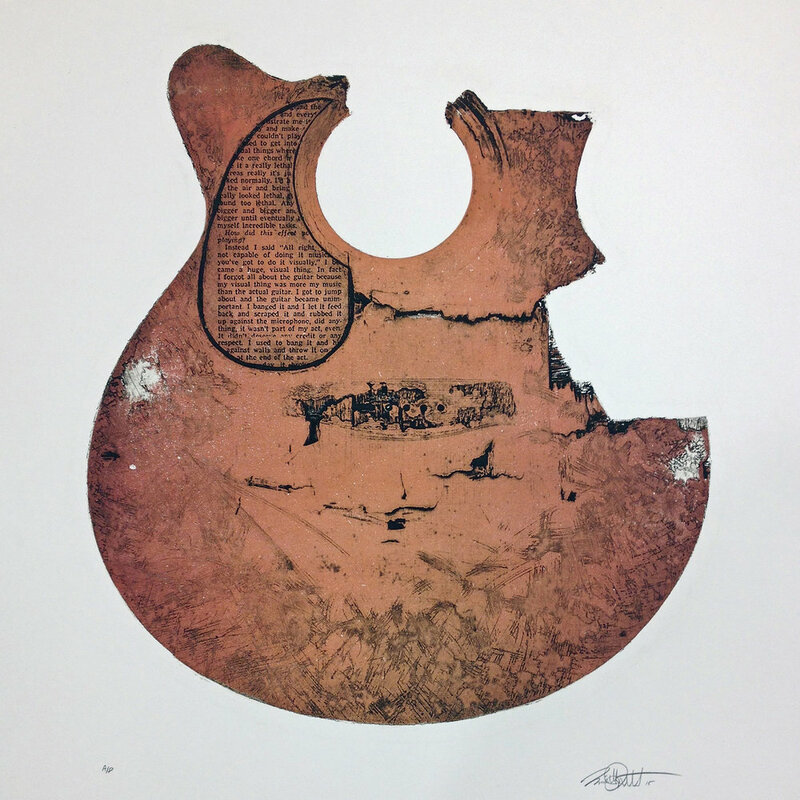 The text featured within the pick-guard is based on a 1968 Rolling Stone interview with the guitar-smashing pioneer of The Who, Peter Townshend, and how his frustration led to a crave for visual, rather than audible, attention and would influence the reckless on-stage tradition that would last for decades to come. Prints were pulled on various rag paper including BFK Rives, Copperplate and Magnani Revere Suede. 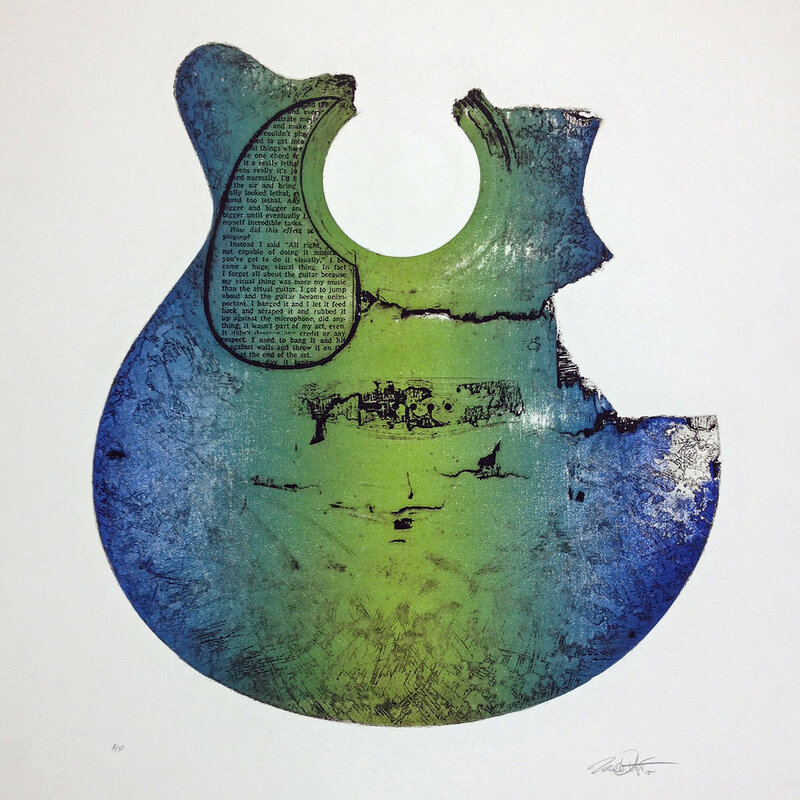 All guitar and pick guard proofs are 1/1 and the blue pick guard guitar proof is an edition of 2.